President Edgar Lungu says he believes that Zambians will vote for him in August to continue as president until 2021. Speaking to congregants at St Kazito Catholic Church in Lusaka today, Sunday, June 19, 2016, President Lungu said he has done enough to be given a full mandate. President Lungu praised himself as a good leader. He said some opposition party leaders who despised him that he had failed when he called for a national day of prayer are now emulating him that they will governor using God’s guidance. He said after the day of national prayer in October 18, 2015, the economy had improved. He said the country recorded enough rainfall that resulted in a good harvest. He said the country has enough food stock and generally the economy is back on track. 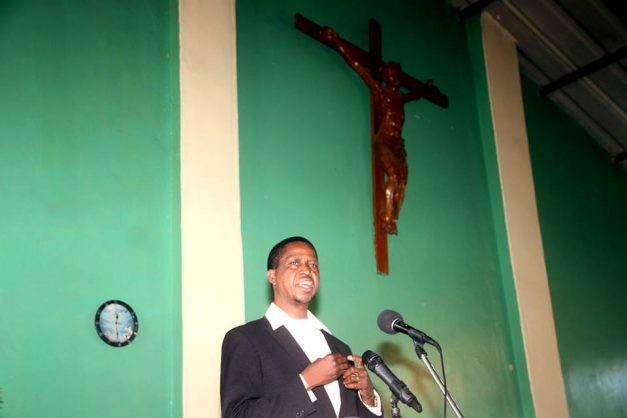 President Lungu said he will continue going to Church to praising God even after his tenure expires in 2021. He urged the Church to continue praying for the nation. St Kizito situated in George Compound today commemorated 45th anniversary and the Feast of St Kizito Parish in George Compound. Will you, really? I thought it depended on a secret ballot, on you? Good leader? What is good and what is leadership? Lungu really a good leader? By universal definition he is neither good nor a leader. I meant can’t afford 3 decent meals per day. 1, the learners are provided with learning materials like books,pencils and pens-parents buy for their children.How free is the service? 2. Due to eratic fundind in the sector where pupils are not required to pay fees,teachers are made to buy Chalk and other requisites on behalf of Govt with the hope to recover their money when funding of less than k800 Per 3 months.Do u know that teachers in rural primary schools use their own money to finance their duty trips.Find out more. if there was no violence in the country,maybe you were going to be a good leader. Boasting about national prayer will bring his down fall. Mr President you can not say the economy is back on track when the food is still expensive and no jobs. tools down give ways for others. This man will feel the wrath of our Almighty God. Lungu z man of God whether u like it o nt he z. Good Leadership credentials is not like masssturbation bwana, where ideal conditions are set, it is people who say, “you are a good leader”, not yourself! izreality praise david for good leadership even women dance for him,now our excellence praise himself.how sure is he?that he is?when the spirit of God his not with you,you may talk anything because God is not with you.God will not axcept it.jesus say they praise me with there lips not in there heart because there heart is far from me,does God allow to steal?if your answer is yes then he is a GOD fearing man. Five years of LUngu, then the country will be finished. They will be nothing left of what used to be Zambia. lungu praise himself,which God can say good leadership when his children crying everyday for poverty,unemployement,lucky of money,hunger everywhere you go.when the izreality was in egypty the word of God came to moses saying have heard the cry of my children in egypt,so go & tel farao about it.bible;say that david said to God please dont put poverty much on me because how speak against you that you are not good,or more richest i may change.SATANIC people are happy to see many people suffering even saying go lungu lead us because there aim is to see many people turn from almight God and start worshipping the devil because of hunger in there homes.God of izreal where are you?have you see what is happening in zambia or not .you sent your son jesus to die for us.if you hear our prayers answer us please.am not happy to see this my God. …….christianity is different from politics! In short, he is dreamer this LUNGU, ask Rupia Banda! Good leader withthe kwacha at K12 to a dollar! 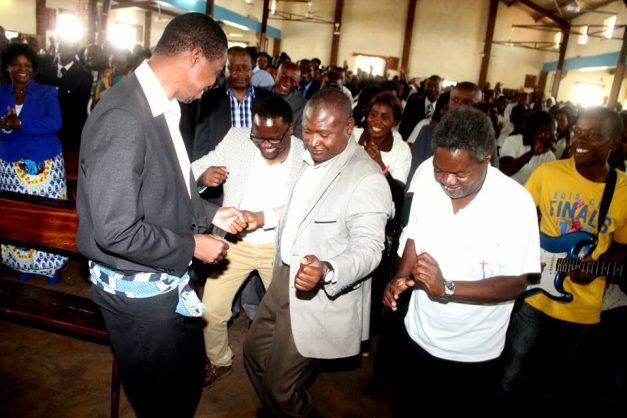 Shame, chakolwa and dancing king!! !